ALPHA TOLMAN is named for a philanthropic dairy farmer who built the Greensboro library in 1900. Alpha's grandfather, Enoch, was one of our town's original settlers. His namesake cheese is made in our satellite creamery, located within the Vermont Food Venture Center in Hardwick, VT - a facility designed to incubate value-added projects and enrich our agricultural economy. SENSORY NOTES - Alpine cheeses like Appenzeller inspire the recipe for this Jasper Hill Creamery original. Alpha Tolman has a buttery, fruit & nut flavor when young, developing bold meaty, caramelized onion flavors as it matures. The texture is dense and pliant, easily portioned and ideal for melting. PAIRING AND SERVICE - The texture, aesthetic, and flavor make Alpha Tolman an ideal choice for fans of Appenzeller (or fondue!). Try pairing with a robust ale, plummy red wine, or onion jam. For a satisfying meal, follow the lead of Swiss/French raclette – melt onto a plate of fingerling potatoes, cured meat and natural sour pickles. 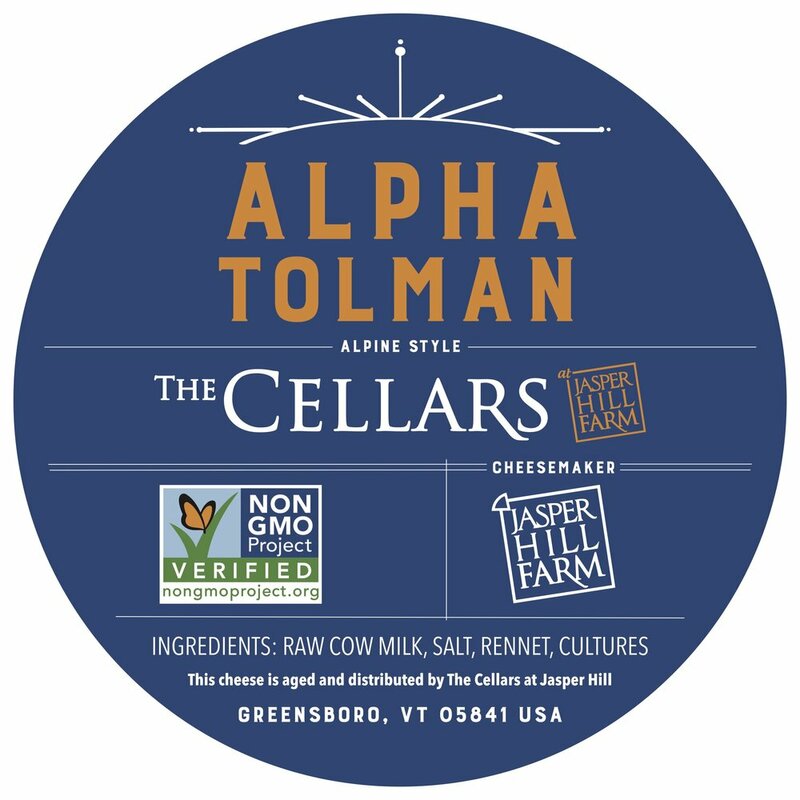 Alpha Tolman is made by Jasper Hill Creamery at the Vermont Food Venture Center and matured by Cellars at Jasper Hill.